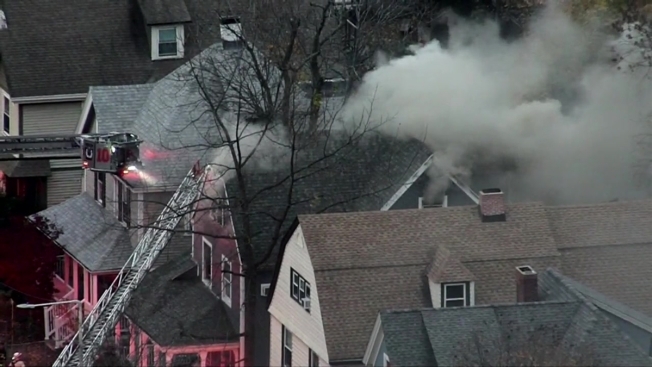 Firefighters responded to a 2-alarm blaze in Boston's Dorchester neighborhood on Friday afternoon. The fire was reported at 3:42 p.m. at 18 Victoria St.
Boston fire said heavy flames were showing from the 2-1/2-story residential building when they arrived. The fire was knocked down within about 30 minutes. All residents were safely evacuated and no injuries were reported. The fire department estimated damage from the fire at about $500,000. Three residents were displaced.